Some would call this beef stew, and in fact, that is what I called it when serving it to my husband and his mother, sounded down home and acceptable, wrong. 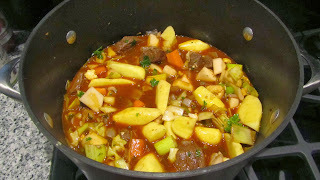 Whatever you call it, I like it and it is equally good as a winter chow down mid week, or a weekend dinner with guests. 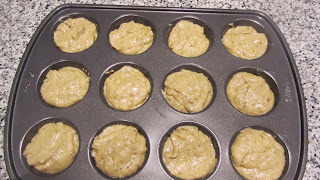 Be warned, the turnip does make the overall flavor slightly sweet, if that is not to your taste, leave it out or substitute it with another vegetable, such as broccoli or squash. 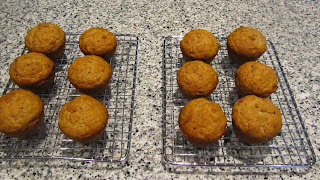 reduce heat and continue to cook for 2 hours. We have eaten at Dos Salsas a few times and have always been pleased with both the food and the service. The price is also very reasonable. I can highly recommend the Stuffed Jalapenos as an appetizer, they are so good we haven't yet tried any of the other appetizers on the menu. Both of the Dos Salsas served are very good indeed. On this occasion we had a party of 8 and I was surprised at how quickly we were seated, orders for drinks taken and served, food orders taken, and the food arrived quickly and everyone was happy with their choice. This visit I strayed from my usual Pollo en Mole which I absolutely love, and I tried the Pescado Monterrey, grilled tilapia with sauteed onions, tomatoes, jalapeno served with a guacamole salad - that is some slices of avocado in a small taco shell. It was absolutely delicious and perfectly cooked, however, there was way too much for one person. Once again I wish that restuarants would serve half portions. As I have said so many times before, I would willingly pay more than half the price for half the portion. I really hate to think of the food they waste. Dos Salsas has a large dining area, with some booths and has a pleasant atmosphere with a definite Tex-Mex decor but it is not overpowering, that is to say it is not gaudy. They also have the requisite flat screen TVs viewable from just about every seat, something I would prefer to not to have. 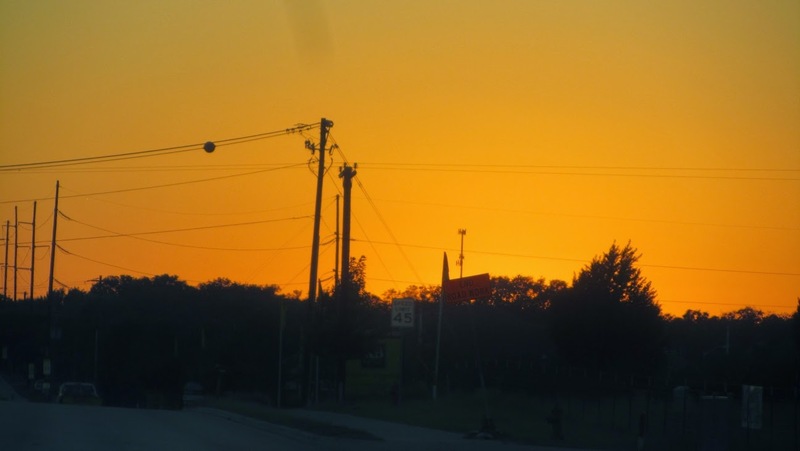 I think having television destroys the conversation flow and adds to the noise levels, but I believe I am probably in the minority - at least in Cedar Park. As I said, we have been to Dos Salsas before and we will definitely return there. I grew up in Dublin where Indian restaurants, very good Indian restaurants, abound. 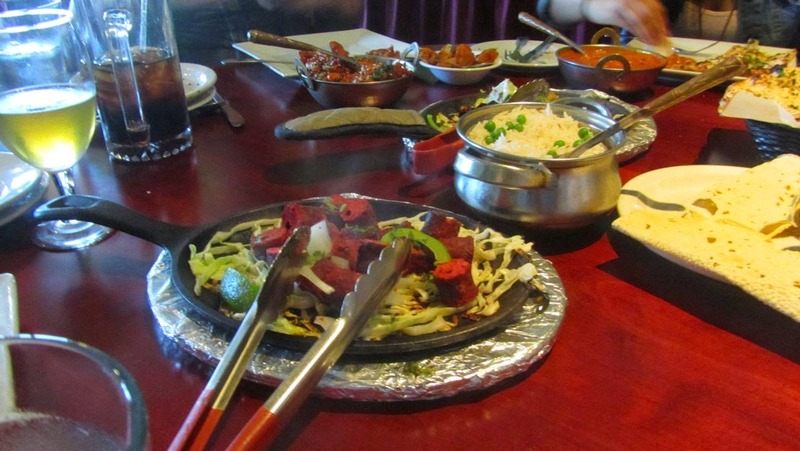 I absolutely love Indian food and was quite disappointed to find that Austin didn't seem to have many Indian eateries. 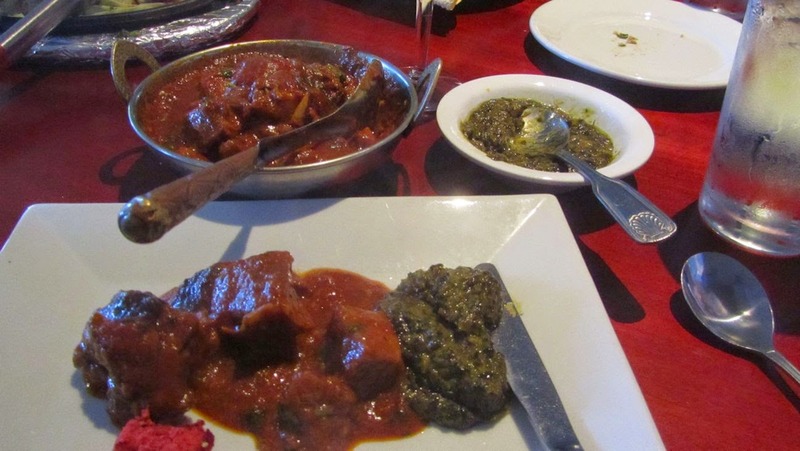 The Star of India has long been my favorite, and for many years, only, go to for my curry fix. (I must tell you about the Star of India in another blog). 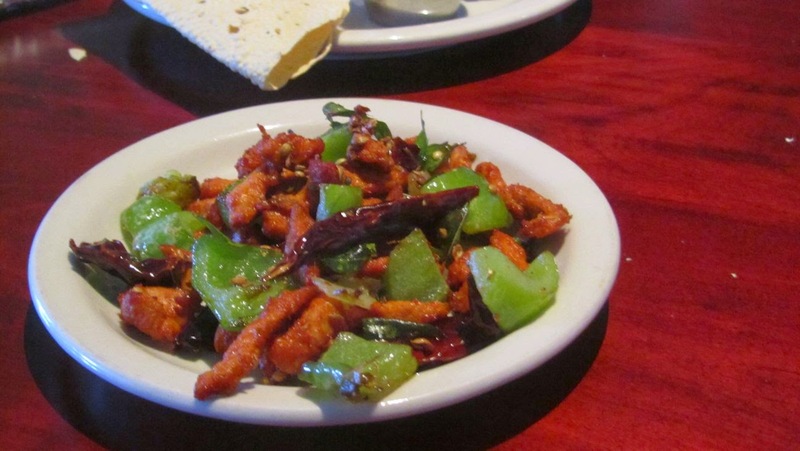 Thanks to Groupon, we discovered another Indian restaurant had opened in Austin, and not too far from home. They are located in the strip mall at the corner of Balcones Woods and 183. Armed with our Groupon we headed to try it out. Wow! Amazing. 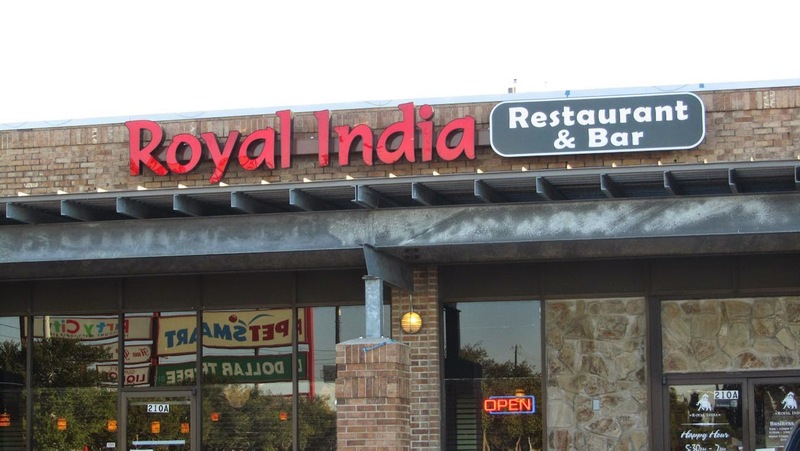 It is in a strip mall, so not terribly impressive outside, and strip mall restaurants tend to be very much alike on the interior, however there is an atmosphere in Royal India that can only be attributed to the staff and the very high standards. I highly recommend this place. And they take reservations online. In the tradition of Indian food, everything is served in a serving dish and so mix and match is very simple, you get to taste a little of everything. As there were five in our party, we had two appetizers. 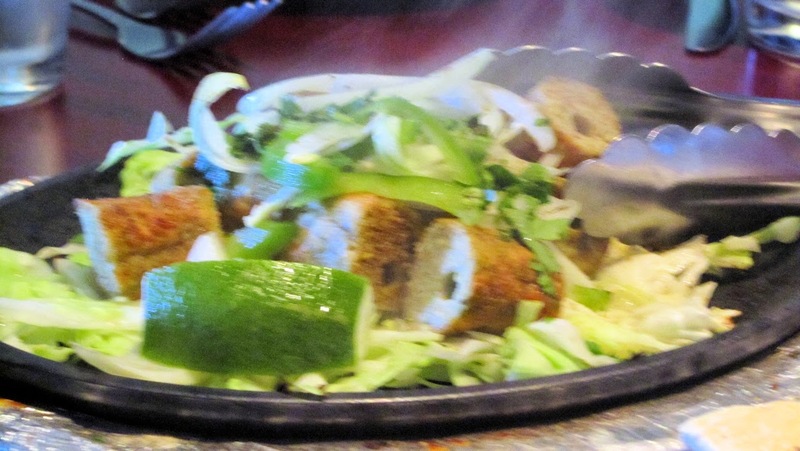 We started with Royal Reshmi Kabab - essentially a ground chicken sausage, spicy and delicious, and Chicken 65. Both were delicious. 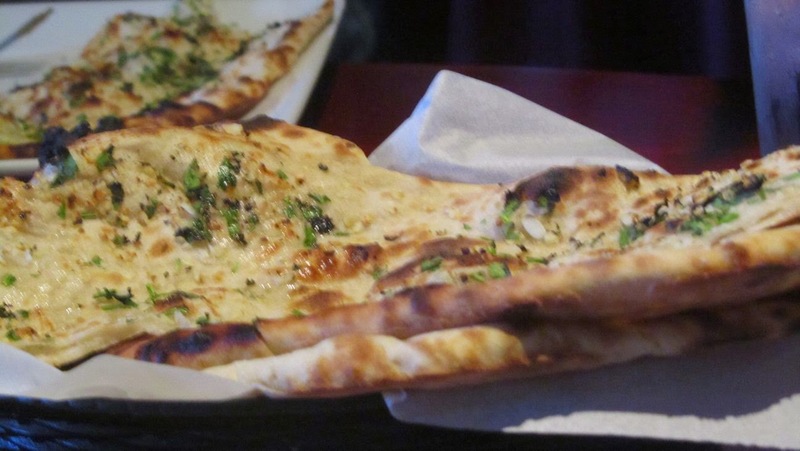 We also had Naan Bread which I really have to say was amazing. We ordered Garlic Naan and Jalapeno Chees Naan. Everyone enjoyed it. For main course I had Dhaba Mutton Curry. 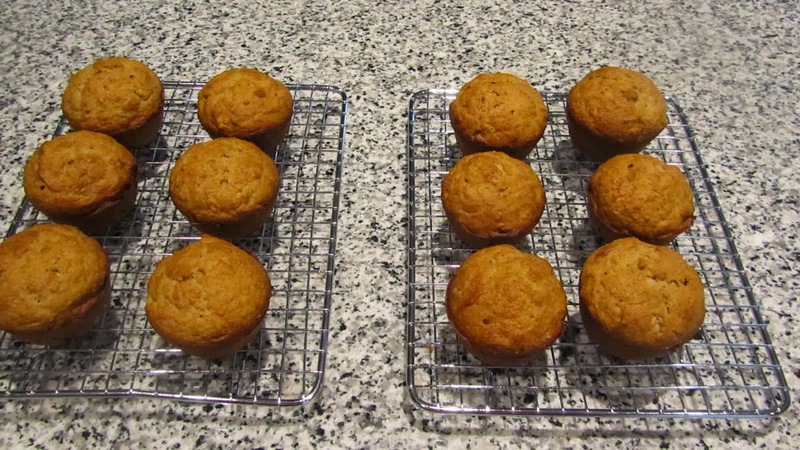 They offer a spice level from one to five, with five being the hottest. I settled for 3 and it was perfect. In Ireland mutton = old sheep, in India apparently, it is goat, but either, it was wonderful! On the side I had spinach which I love in any shape or form. Nya ordered the Butter Chicken at a level two and was very pleased with it. Travis showed us all up by ordering, and eating, a level 5 Chili Chicken. Larry chose the Kakori Kabab and while he said it was delicious (and I affirm as I got to taste it) he was not too keen on the fact that it was ground lamb - also in a sort of sausage form. As he has only recently discovered lamb and likes it in its whole form best. Our drive home was enhanced by a beautiful sunset - while nothing to do with the restaurant nor the great food, it was a lovely way to finish the evening. 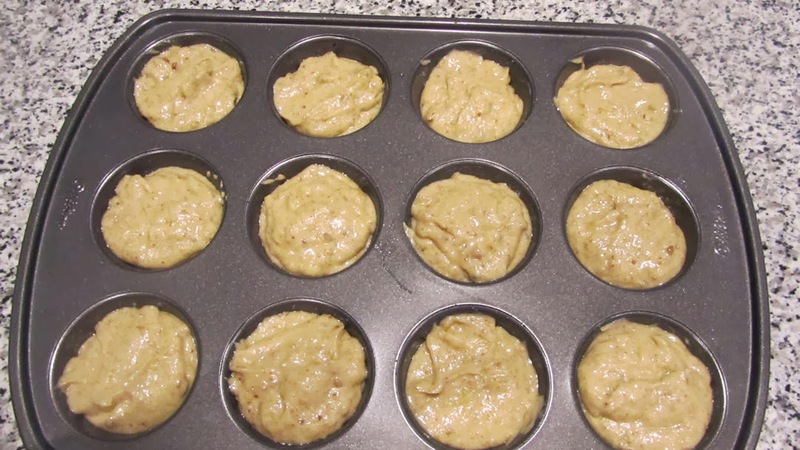 In a large bowl, mix all the ingredients except the flour. test with a sharp knife, if it comes out clean it is done. cool on a wire rack. These freeze well.